After moving six times in five years, Stacy and her family have a lot of experience starting over in new neighborhoods. With their first five moves, they got so busy settling in and wanting to make their house and yard perfect before inviting anyone over, that when they were ready to start trying to get to know the neighbors, enough time had passed that it felt awkward. So she got on the neighborhood Facebook page and asked if their community had a 4th of July bike parade. Stacy’s family had participated in an annual bike parade in their very first neighborhood and enjoyed the sense of community that such a simple event could create. 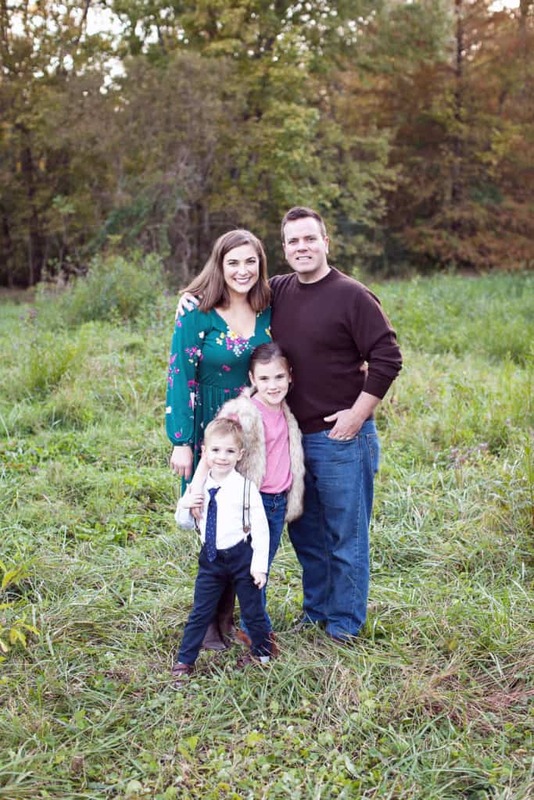 She also knew that by drawing out a large crowd of families, her kids could get to know some other kids in the neighborhood, and she and her husband would get a chance to meet people, too. People started commenting on Stacy’s Facebook post saying that no, they didn’t have a bike parade, but they were very interested. 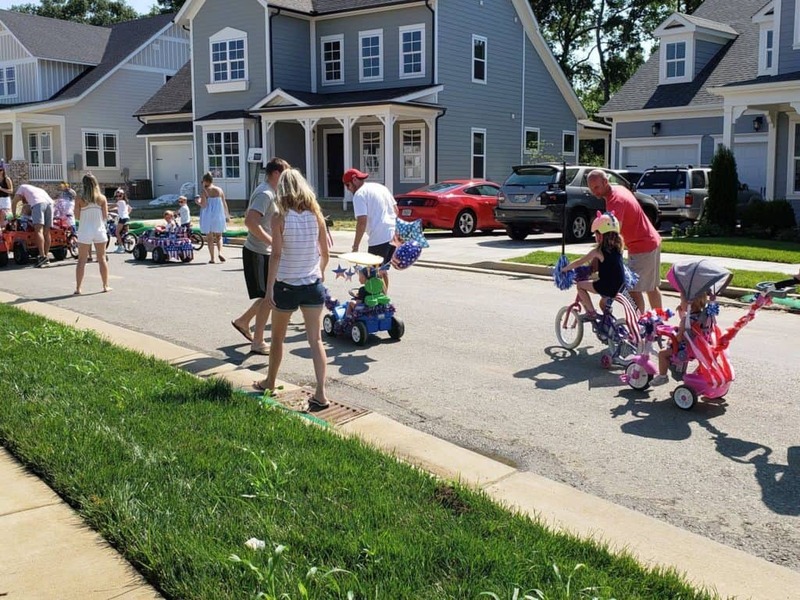 So she stepped up and planned the neighborhood’s first 4th of July Bike/Scooter/Stroller Parade. You could connect with your neighbors by organizing a bike parade in your neighborhood, too. Here’s how! 1. Gauge interest. Ask your neighbors or post on the neighborhood Facebook group asking if people are interested in having a bike parade. 2. Decide on the details. Where will you hold the parade? If you have a short loop in the neighborhood or a main road that ends at a common area, those are great choices. What time will you start? If it’s super hot in July where you live, you might want an earlier start, like 9:00 AM. Stacy says it was already pretty hot by 10:00 AM when they started theirs. Will you add extra fun to the festivities? Some neighborhoods arrange for a firetruck to lead the parade. Some hold bike decorating contests. You don’t have to do anything extra, though, if this is your first time having a parade. 3. Spread the word. Post an event in your neighborhood’s Facebook group or on the Next Door app. Make a flyer with all of the details and post in prominent areas of your neighborhood (at the playground, pool, or clubhouse, if you have them). Make sure everyone knows that they can decorate their bikes and that there will be refreshments at the end. 4. Welcome volunteers. If someone offers to help, give them a job. Stacy says the most helpful roles would be the Starting Line, Finish Line, Refreshments, and Music. The more people who are involved, the more buy-in you’ll have. 5. Block off the parade path. For the safety of all the kids and their families, block off the parade path with long banners just for the length of the parade. 6. Set up some ice-cold refreshments at the end of the parade. 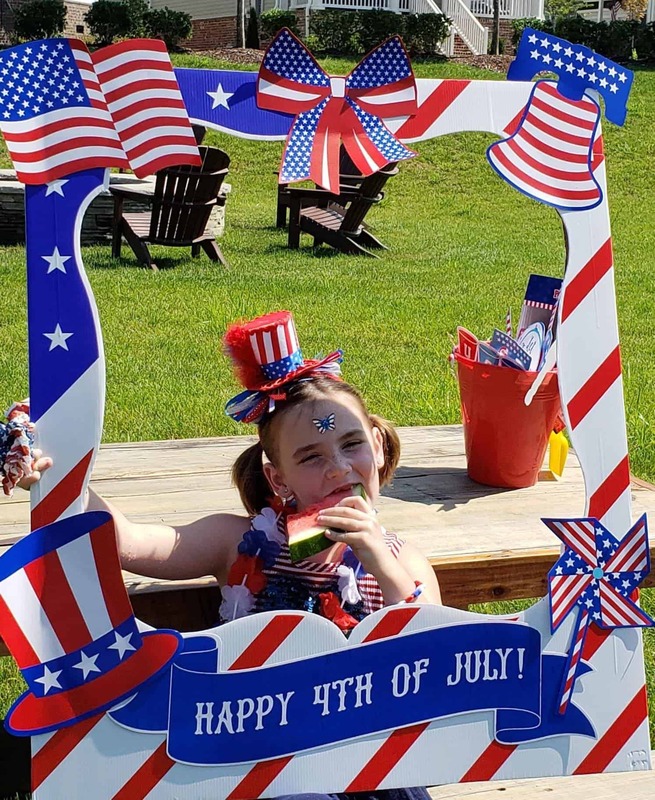 Stacy and her neighbors provided water, red and blue juices, bowls of red and blue fruit, and popsicles in coolers. Get prior approval from your Homeowners Association if you have one. Allow bikes, scooters, wagons, strollers — anything that moves on wheels! Ask your neighbors who don’t have kids participating to line the streets. 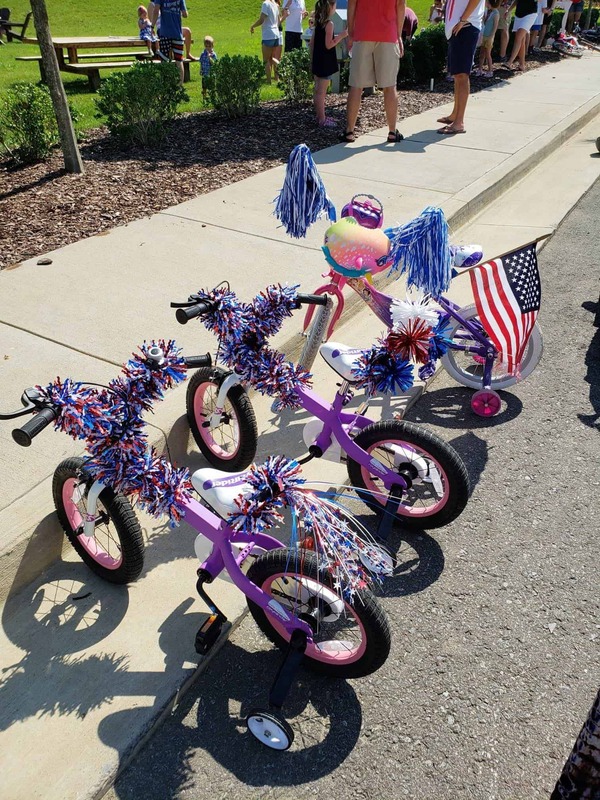 You might want to host a Best Bike Decorations contest with prizes for most creative or most patriotic. Stacy says she found most everything she needed for the bike parade at Party City, the Dollar Tree, and Big Lots. bike decorations — the video below has some cute DIY ideas that your kids can make themselves. Some of the things you will have around the house like paper plates, empty water bottles, tape, and scissors. But you also will need red Sharpies, blue Sharpies, red ribbon, mini flags, and a couple of stars. Let your kids come up with their own ideas using some of these supplies — they’ll have so much fun! 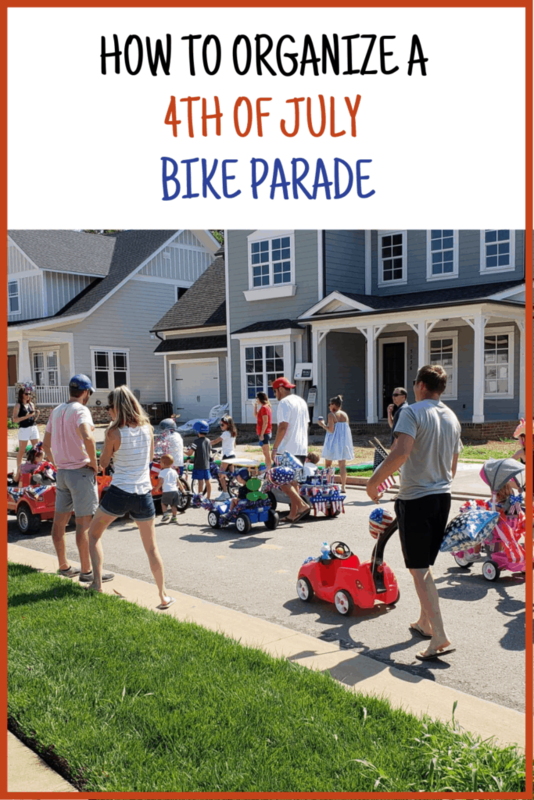 Whether you’re new to a neighborhood or you’ve lived in yours for 10 years, you can organize a simple community event like Stacy did with the bike parade. And she’s right — sometimes when it comes to building community, you get out what you put in. Don’t be afraid to be the person who sees the need for connecting with neighbors and steps up to make it happen — just like Stacy did. Filed Under: Invite Them Over!